Want to motivate others? Start by learning how to motivate yourself. That’s the message that best-selling author Susan Fowler highlights in a recent article for Ignite! In Fowler’s experience, you have to understand your own reasons for performing at a high level before you can help others do the same. Without that understanding, most managers attempting to “motivate” others will resort to imposed or extrinsic techniques that may only make the matter worse—for example, a “carrot” approach which dangles incentives in front of people in exchange for desired behaviors—or a “stick” approach which applies sanctions and negative consequences for undesired behaviors. Fowler maintains that the reason for our dependence on external rewards to motivate people, especially in the workplace, is not just because they were easy and the “fast food” of motivation, but because we didn’t have alternatives—we didn’t know what truly motivates people. That’s been changing rapidly the past couple of years as research about intrinsic motivators have begun to make their way into the work environment. Building on the pioneering work of Edward Deci and Richard Ryan, researchers and practitioners have begun exploring the powerful impact that intrinsic motivators such as Autonomy (being in control of one’s own life), Relatedness (to interact, be connected to, and experience caring for others) and Competence (experience mastery) can have. For example, researchers at The Ken Blanchard Companies have established that employee perceptions of increased Autonomy, Relatedness, and Competence are positively correlated to intentions to stay with an organization, endorse the organization as a good place to work, and apply discretionary effort in service of the organization’s goals. What’s your motivation? What’s driving your performance on key work goals and tasks—is it in pursuit of rewards, avoidance of punishment, or something more meaningful and personal to you? How are your needs for Autonomy, Relatedness, and Competence currently being met? Are you growing and developing skills? Do you get a chance to work together in community with others toward a shared goal? What can you do to create a more satisfying work environment for yourself and others? What small step can you take this week to start moving things in the right direction? Work can—and should be—a motivating experience. Sometimes we forget, or become resigned to, a transactional relationship. It doesn’t have to be that way. Re-examine your beliefs, reframe your experience and rediscover your passion. Break out of carrot and stick thinking. Consider the impact that increased Autonomy, Relatedness, and Competency can have on your life. PS: You can learn more about Susan Fowler’s approach to motivation in the article Motivation As a Skill. 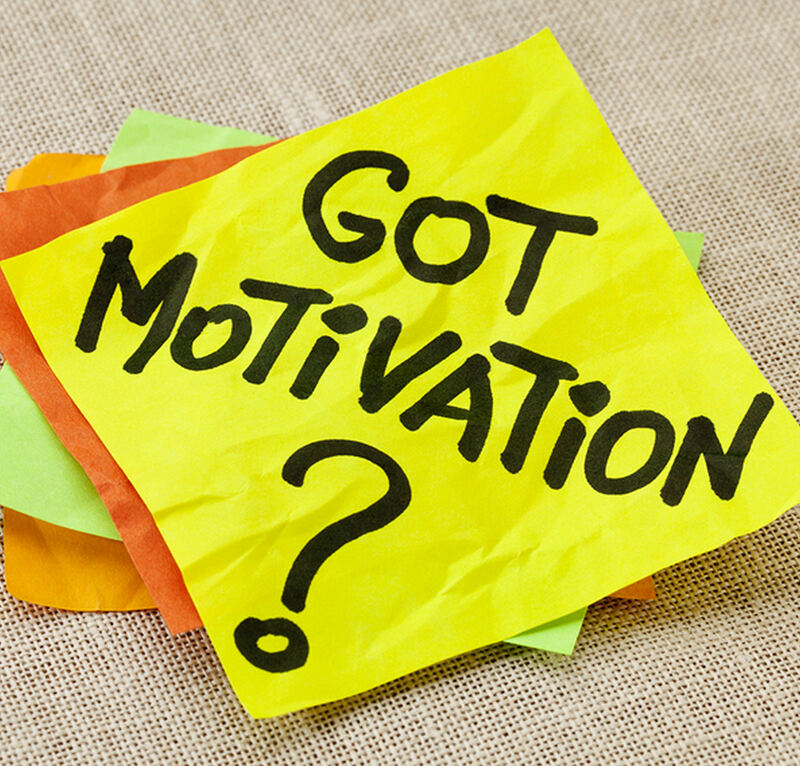 Also be sure to check out a free webinar that Susan is conducting on October 3, A Closer Look at the New Science of Motivation. It’s a free event courtesy of Cisco WebEx and The Ken Blanchard Companies. It’s great to be reminded of these key points… having worked in the non sales head office environment of Flight Centre (where the carrots are there but are less obvious or relevant) There is strong focus on autonomy and competence – but more importantly on Relatedness – when you are part of an engaged community… with common culture, interest, drive and passion…it really does provide the motivation and satisfaction to excel in your role! In my opinion we should also pay more attention to understanding extrinsic motivation. After all, it is motivation. A good team around you is an extrinsic motivator and it works like charm when one has that and if he/she is “externally” motivated. This intrinsic/extrinsic thingy sounds to me a bit same as did the debate on introverts and extroverts, whether the latter is better than the former, few years back. I believe the outcome was; they both have their strengths. We should understand both types of motivation and it’s a leadership skill to manifest the best out of these folks. Thanks for sharing your thoughts and raising a couple of questions around the use of extrinsic motivators with different personality types. In working with people on these concepts I have often heard people say that they are in it for the money, rewards, perks, etc. Interestingly, if you go just one step further with them you will find it isn’t the money, rewards, or perks itself, but what it provides or signifies. The answer will usually lead to something deeper. For example, more money provides me with greater security, a way to provide for my family, an opportunity to experience more of what life has to offer–in other words, it is a means toward an end. The problem occurs when we think that the reward, money, or perks is all that there is. That’s a very shallow approach that is extremely dissatisfying in the long run. As leaders, it is important that we see extrinsic rewards in their proper role and not let them become the reason for being. Reblogged this on Noé Pool. I work from home and my friends think I’m lucky to have a “very easy” job. They don’t even consider it work because of my comfortable workplace. What they don’t know is how difficult it is to stay focused and be motivated. I’d like to think I work better if there’s something that pushes me to stay focused. It’s not easy to stay motivated but that’s why I use a little help from a time tracking software. It helps me boost my productivity.